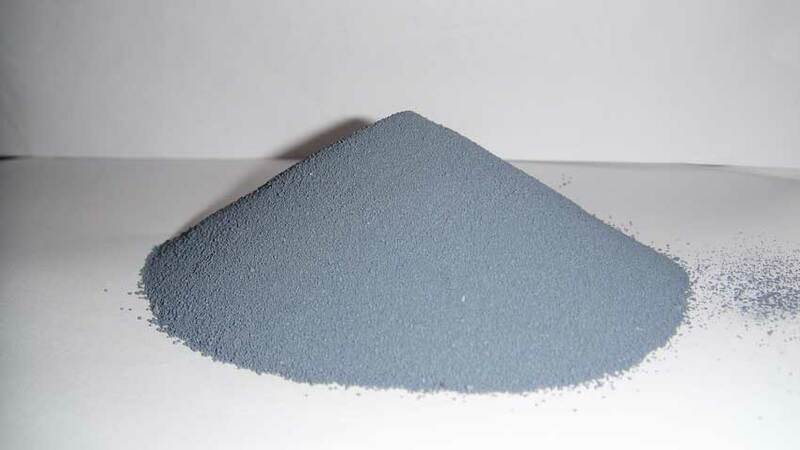 Condensed silica fume consists primarily of pure silica in non-crystalline form and contains more than 90% silicon dioxide. Small amounts of magnesium, iron, and alkali oxides are also present. Most particles are smaller than 1 mm with an average diameter of 0.1 mm. ASTM C 1240 limits the percent retained on the 45-mm sieve to 10%, the moisture content to 3%, and the loss on ignition (LOI) to 6%. Condensed silica fume is used as a replacement for portland cement. 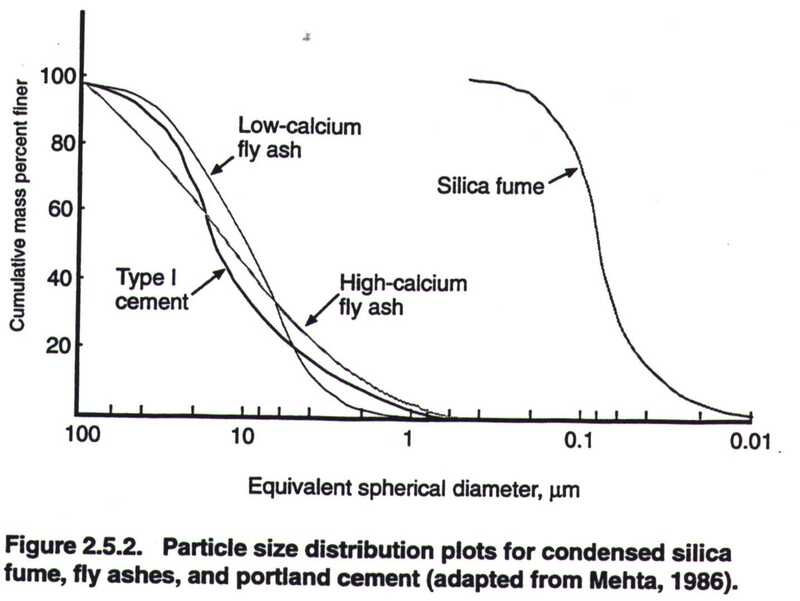 Silica fume can replace portland cement in the range of 9-15% by mass of cement. Although CSF is mostly strength, it also confers other durability-related properties. In pipes, CSF-addition is shown to bearing capacity of the pipes by used for increasing concrete advantages such as improved the manufacture of concrete increase the external load 40%. The resistance of the pipes against chemical attack is also increased considerably . Concrete pipes containing only about 5% CSF have 2-3 times longer service life than ordinary pipes when exposed to sulphates. Concrete containing CSF is known to have improved resistance to freezing-thawing attack, chloride penetration and deicer scaling, making it useful for road construction. CSF addition also increases the abrasion resistance of concrete, especially at higher dosages. A 20% dosage of Corrocem, a proprietory admixture based on CSF as a key component, shows 3O-35% higher abrasion resistance, compared to a good quality concrete. Due to the reduced permeability and lower free lime content in the cement paste, the CSF concrete is considered to have a high resistance against chemicals. For Corrocem-concrete a considerably increased service life is obtained in aggressive environments. Such concrete exposed to saturated ammonium nitrate-solution shows a weight loss of about 0,5% after 150 weeks exposure compared to a loss of 15% after 100 weeks for a plain concrete. The strength of the admixtured-concrete is about 70-75 MPa after 163 weeks and about 30 MPa after 21 weeks for the plain concrete after exposure to nitrate solutions. Similar trend was obtained for specimens exposed to saturated calcium nitrate.